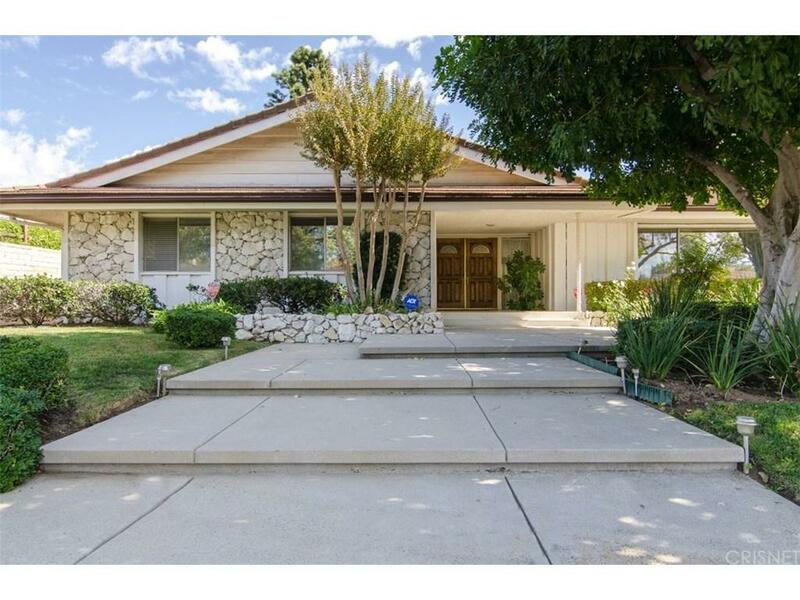 Single story home located in one of Northridge's most prestigious neighborhoods. This home offers almost 3300 sq ft of living space. Four spacious bedrooms, Large eat-in kitchen that looks out to a gorgeous large rear yard. Lots of counter space and cabinets. Very large family room with wet bar that is perfect for entertaining. Large step down down living room with gas starter stone fireplace. Fabulous formal dinning room with built-in China Cabinets. Spacious master Bedroom with walk-in closets and private bath. Laundry room off of kitchen. Washer Dryer and Refrigerator included. Finished garage with build-in storage. Rear yard is truly special with a large pool, sunken patio with fire-pit, plenty of grass area plus covered patio. All this and more situated on a flat lot that is over 17,000 sq ft.